German trademarks are governed by the Trademark Act 1994 (which implements the EU Trademark Directive (89/104)) and the Trademark Ordinance 2004. The Trademark Act will be modified in early 2019 in order to implement EU Directive 2015/2436. The directive requires some changes; however, this will not affect litigation procedures. Since Germany is an EU member state, EU trademarks cover Germany and the EU Trademark Regulation 2017/1001 directly applies. Most infringement proceedings concern the infringement of a registered trademark (either a German trademark, EU trademark or an international registration designating Germany). An unregistered mark can be a cause of action if it is well known or has become established in trade, which requires knowledge of the mark by a significant portion of the relevant public. Reputation is proven by means of demoscopic expert opinion. Commercial designations (eg, company names and work titles) also enjoy protection similar to that of a registered trademark. Alternative dispute resolution methods exist; however, they play only a minor role in Germany. One reason is Germany’s efficient court system, which allows for settling trademark conflicts quickly and at reasonable costs. Another reason is that within German court proceedings, judges usually try to explore the possibilities of an amicable solution and often make a proposal for a settlement. Arbitral tribunals are mainly called on for cross-border disputes. Arbitral awards have the same effect as court decisions. third instance – the Federal Court of Justice. There are 18 regional courts with jurisdiction for national and EU trademark infringement cases in the first instance, and 18 courts of appeal in the second instance. Further, there are three additional regional courts in first instance and two additional courts of appeal, which can exclusively hear national trademark infringement cases. These courts have specialised chambers for trademark matters. All proceedings before a German court are held in German and each party must be represented by an attorney at law. German courts assume jurisdiction in infringement cases involving German trademarks and international registrations designating Germany if the defendant is domiciled in Germany. In addition, German jurisdiction can be established in these cases if the infringing activity takes place in Germany or if the result of the infringing activity has an effect on German territory. In general, German courts interpret these requirements broadly. It is, for example, sufficient that a website in English is accessible by German customers and that products may be ordered over this website by German customers. Forum shopping is possible. If the infringement is committed in the districts of several regional courts (eg, in case of supra-regional advertising campaigns) the plaintiff can choose one of the competent courts. These principles do not apply completely in cross-border infringement cases involving EU trademarks. According to a recent decision of the German Federal Court of Justice, international jurisdiction of German courts is established only if the infringing act was started in Germany. This is not the case, for example, if trademark-infringing goods are offered abroad and imported into Germany. If the infringer has no domicile in Germany, German courts cannot render a decision regarding the infringement of an EU trademark. In response to this new case law, it is advisable to protect at least the most important trademarks as both EU and German trademarks in order to establish jurisdiction in Germany in case of cross-border infringements. Jury proceedings are not provided for in the German legal system. However, trademark disputes can be brought before the chambers for commercial matters within the regional courts. The composition of these chambers consists of a professional judge and two lay judges. Cease and desist letter: Most trademark infringement proceedings begin with a cease and desist letter; however, this is not mandatory. In a cease and desist letter the proprietor demands that the infringer issue a written cease and desist undertaking, including an obligation to pay a contractual fine for any case of future violation of the declaration. If the infringer does not submit a cease and desist declaration within the set deadline (typically one week), the proprietor can enforce its rights by a preliminary injunction proceeding or main action. Preliminary injunction: Preliminary injunction proceedings are highly relevant. This type of proceeding allows a rapid enforcement of cease and desist, as well as seizure claims. The rights holder may seek a preliminary injunction if the matter is urgent. There is no legally defined time limit for urgency; however, it is generally agreed that applying for a preliminary injunction within four weeks of learning of the infringement is sufficient. Longer periods might be possible under special circumstances. granting the injunction without a hearing ex parte. If the court decides that a hearing will be held, the alleged infringer can submit a written defence to the court. A preliminary injunction becomes effective only on formal service to the defendant. Service must be initiated by the plaintiff and take place within one month. The rules of service are highly formal and errors are unlikely to be rectified at a later date, so the utmost caution is required at this point. If the defendant does not comply with the imposed obligations after service of the preliminary injunction, the plaintiff may file a request for coercive measures (coercive and in rare cases coercive detention). If a granted preliminary injunction is revoked at a later stage, the plaintiff is obliged to compensate the defendant for the damage suffered because of the obligation to comply with the preliminary injunction until it was revoked. This aspect is particularly important if the preliminary injunction leads to a temporary suspension of sale, for example, because the trademark in dispute is attached directly to the goods themselves. Therefore, a preliminary injunction is not free from risk for the plaintiff. If the legal situation is not entirely clear, it may be advisable to enforce trademark rights in a normal main action. Main action: A main action is necessary if the matter is no longer urgent or if claims going beyond the scope of the preliminary injunction are concerned (eg, if damages are enforced). A main action might also be necessary subsequent to a preliminary injunction proceeding, since the court can only make a provisional arrangement, so that final arrangements remain reserved for the main action proceeding. A main action proceeding begins with the submission of a statement of claim which must contain a complete presentation of the case, covering both factual and legal issues. The statement of claim is subsequently served on the defendant by the court. Within a period of four to six weeks the court may fix an early oral hearing for discussion of procedural questions and setting of deadlines for the filing of briefs. Within one to three months after service of the statement of claim, the defendant must file its counter-statement. After a further similar period, the plaintiff can file a reply, which is then followed by the defendant’s counter-reply. In most cases, courts allow between six and 10 months for the exchange of written arguments. After that, a public main oral hearing will take place. In such hearings, the court discusses all relevant issues and renders, in general, a preliminary opinion. The court will usually issue the decision within one to two months after the hearing. Duration of legal proceedings: The length of proceedings in trademark infringement cases will differ from court to court depending on the court’s workload. Main proceedings in the first instance usually take between six and 12 months and require one or two hearings. Appeal proceedings are likely to take a bit more time – approximately nine to 12 months if no evidence is taken. Preliminary injunction proceedings are much quicker. If preliminary relief is granted by the court without holding a hearing, it is possible to obtain an injunction within a few days. Limitation: Claims under trademark law expire within the regular limitation period of three years. This period begins at the end of the year in which the infringement was committed and the infringed party became aware of it or should have become aware of it. If the infringed party has no knowledge, its claims will expire within a maximum of 10 years after the infringement. a value of €1 million results in fees of approximately €6,100 for the proceeding, plus an additional €5,600 for an oral hearing. The court will estimate the value in dispute. Relevant factors include the value of the violated IP right and the nature and extent of the violation. claims for detailed information on the scope of the infringement (eg, names and addresses of manufacturers, suppliers, other previous owners, names and addresses of commercial customers, amounts produced and traded, and prices paid). According to the most recent decisions of the German courts, the order to cease and desist already includes the obligation of the infringer to exhaust all reasonable actual possibilities to remove the goods from the distribution channels. There is currently a dogmatic discussion about how the injunctive relief can be distinguished from the separately existing claim for recall or removal. payment of a hypothetical licence fee. The latter is the most frequently chosen. It obliges the infringer to pay the rights holder an amount equal to that which would have to be paid if the infringer had properly applied for a licence. The licence fee depends on many aspects, such as the industry, reputation of the infringed trademark and the extent of the trademark infringement. The basic principle of German civil procedure law also applies to trademark disputes: each party must present and prove the facts on which it bases its claim. According to German trademark law, the question of likelihood of confusion is not a question of fact but of law. Thus, the question of actual confusion is not decisive. In addition, it is not mandatory to validate evidence before starting a case. Full proof must be made during the court proceedings and only if the defendant disputes the facts. Therefore, court proceedings in Germany are rather lean and thereby efficient from a time and cost perspective. In order to initiate infringement proceedings before the courts, the owner of a registered trademark must, generally speaking, simply substantiate the facts in the written statement of claims. Pre-trial discovery or discovery comparable with procedures in the United States does not exist in Germany. In most cases, trademark infringement can be demonstrated by submitting print-outs of infringing online or email offers. A test purchase of the infringing item is advisable, especially when it can be foreseen that the infringer will contest the trademark information (eg, in case of alleged exhaustion of rights) in parallel import cases. In cases of well-known marks or registered marks with heightened distinctiveness through use, detailed documentation showing an extensive use of the mark and/or the presentation of market surveys must be submitted. In practice, the non-use defence is raised in trademark infringement proceedings whenever possible. If a trademark has been registered in the trademark register for more than five years or, if the case is based on a German national trademark registration, the opposition proceedings have been concluded at least five years ago, rights can be derived from this trademark only if it has been put to genuine use. The trademark owner bears the burden of proof. the trademark owner has tolerated the defendant’s use of the mark for five successive years, while being aware of such use (forfeiture). From a procedural perspective, a party which believes that a preliminary injunction could be applied for against them (eg, receipt of a warning letter) has the possibility of filing a protective brief with the courts. The courts are obliged to take note of this document when making a decision. The protective brief explains why, from the defendant’s point of view, no preliminary injunction will be issued. However, the minimum objective of a protective brief is to prevent the issuance of a preliminary injunction without an oral hearing. In fact, when a protective brief is available the courts usually hold an oral hearing which enables the defendant to present his or her legal position. Moreover, the defendant can bring a negative declaratory action to the court in order to have it determined that his or her conduct does not constitute trademark infringement. In addition, it is possible to challenge the trademark on which the infringement case is based before the German Patent and Trademark Office or, in case of an EU trademark, before the EU Intellectual Property Office (eg, by means of an application for cancellation on the grounds of revocation (non-use) or the existence of absolute grounds for refusal). The court action may be suspended until the cancellation action has been terminated. An appeal may be lodged with the Higher Regional Court within one month of notification of a decision of the regional court. This period cannot be extended. The Court of Appeal bases its decision on the facts of the case on which the first-instance court has already based its decision. It is only possible to a very limited extent to introduce new facts or new evidence into the proceedings at the appeal stage. Therefore, it is crucial to conduct the case extremely carefully from the very beginning in the first instance and to ensure that the first-instance court correctly reflects the facts of the case in its decision. If not, an application for correction of the facts is recommended. An appeal to the Federal Court of Justice is admissible only if the case is of fundamental importance or if the further development of the law or the securing of a uniform case law requires a decision of the highest German civil court. The Court of Appeal must also have admitted the appeal to the Federal Court of Justice. If this is not the case, a so-called ‘non-admission appeal’ can be lodged directly with the Federal Court of Justice. There is no possibility of an appeal to the Federal Court of Justice in preliminary injunction proceedings. If the regional court has issued a preliminary injunction without an oral hearing, an appeal may be lodged against the decision. Thereupon, an oral hearing takes place before the same formation of the court that has issued the order. A judgment is rendered if the regional court has scheduled an oral hearing from the outset (and not only within the framework of an appeal). A further appeal can then be lodged with the Higher Regional Court against the decision of the regional court. 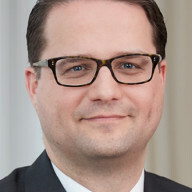 Alexander Späth is a partner in the Dusseldorf office of KLEINER. With more than 16 years of experience in IP litigation, he has handled trademark and design-related disputes for many well-known domestic and international companies. In addition, he has extensive experience in trademark clearance work, as well as in strategic management of global trademark and design portfolios. Mr Späth is adjunct professor for IP law at HTW University of Applied Sciences, Berlin. He is co-author of several law books and serves as a member of special committees of the International Trademark Association and the German Association for the Protection of Intellectual Property. WTR 1000 and JUVE German Commercial Law Firms have repeatedly mentioned Mr Späth as a recommended lawyer. Dirk Pauli advises national and multinational clients in all areas of trademark and unfair competition law. 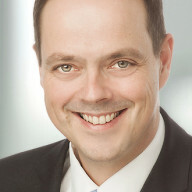 He has extensive experience as a litigator in these fields and frequently represents clients before the civil courts in litigation and invalidation proceedings, as well as in prosecution matters before the German Patent and Trademark Office, the EU Intellectual Property Office and the General Court of the European Union. His practice includes strategic advice regarding international trademark portfolios and he is responsible for some extensive international portfolios. Mr Pauli’s practice also includes advice on IP issues regarding due diligence in mergers and acquisitions, as well as drafting agreements in IP transactions. Mr Pauli completed an LLM programme in Chicago, the United States, where he focused on US and international IP law. 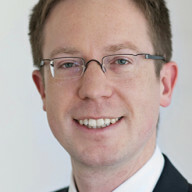 Andreas Brommer’s practice focuses on IP law, particularly trademark law. He advises multinational clients on their IP strategy and enforces their IP rights before both German courts and authorities such as the EU Intellectual Property Office and the German Patent and Trademark Office. In addition, he advises and represents his clients in matters pertaining to unfair competition law. He regularly publishes on IP and unfair competition law-related topics. After having completed part of his studies at the University of Bologna in Italy, Dr Brommer graduated from the University of Konstanz. He further obtained a doctoral degree from the University of Bonn.